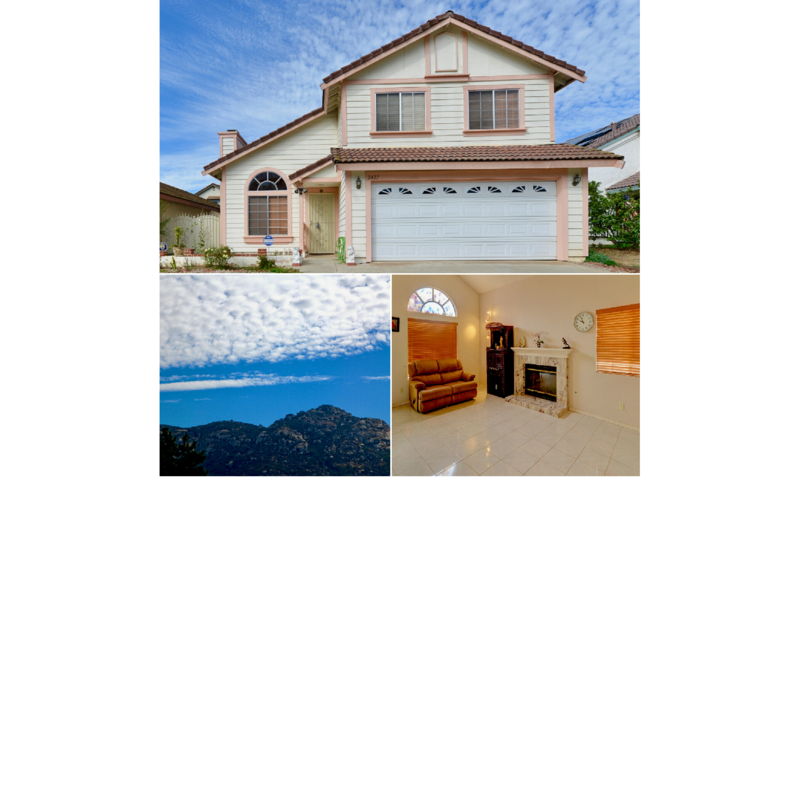 Lovely North Escondido four bedroom, three bathroom home. Floorplan includes one bedroom and bath on the first floor. Tile flooring, fireplace and vaulted ceilings in living room. Arched doorway opens to dining room with abundant lighting. Frosted sliding doors to back yard. Stainless kitchen appliances, granite counters. Two car garage with plenty of storage. Large master bedroom upstairs has sliding doors to balcony. Walk in closet and high ceilings. Amazing mountain view. Go see your next home.